President Trump seems to conduct American policy via Twitter these days - which at least makes it easy for a pleb like me to keep track of where he is going on any particular day. His latest spat is with President Erdogan of Turkey; Mr Trump announced an increase on tariffs for Turkish steel and aluminium in response to the lack of progress over the release of an American pastor held in a Turkish prison. It is unlikely that this is the real reason, I doubt any nation would risk a trade war for the sake of one individual however worthy his or her case but there is little doubt that the relationship between Turkey and the United States has become very strained, particularly over Syria. Turkey does show worrying signs of heading towards an economic crisis, it is spending more than it earns and is very reliant on imports. The Turkish lira has lost 30% of its value against the dollar since the New Year; this makes imports more expensive and thus fuels inflation. The Turkish stock market is down 40% and government borrowing - even in its own currency is now at an interest rate of 18%. To add to the country’s woes repayments on some of its loans are due very shortly - so refinancing the debt will be required, in addition many Turkish businesses have borrowed in foreign currencies, the weakening Lira has inflated their debt. Central Banks can intervene to control inflation - most typically by raising interest rates, something President Erdogan has insisted he will not do. You may well ask that given the aftershocks of the credit crunch many countries around the world (ours included) face financial headwinds - so why am I writing about Turkey? Well Turkey is one of the wealthiest countries in the world ranked 17th in Gross Domestic Product by both the World Bank and the International Monetary Fund. Turkey is also an important member of NATO both militarily and strategically. Moreover Turkey has, since the end of World War Two, formed part of the Liberalist consensus that has spread across the world. It is this consensus that many see as part of the architecture of the Deep State - the Deep State that President Trump seeks to end. Putting Turkey into a position where it may leave NATO is not without risks, it could lead to a much stronger bloc of powerful anti American countries although it could be argued this is already happening and already spreading given President Trump’s actions over Iran. From the perspective of Europe the more immediate consequence could be a flood of illegal immigrants should Turkey decide it no longer has any obligation to the EU. 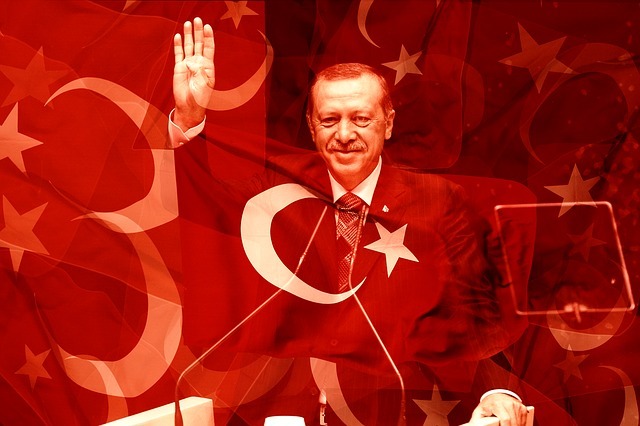 Turkey now faces a perfect storm, a Central Bank that is hamstrung by its President, looming debt repayments and a weakening Lira, a trade war with the US is the last thing it needs. But then perhaps President Trump already knows this?